In celebration of Harvey Nichols new menswear department (which is looking like a pretty large retail space) which launches tomorrow in their Knightsbridge store. Here is a re-post of this post which is addressed to other retailers to do the same. One year ago myself wouldn’t have really raised this topic of conversation about the half floors, the cupboard type of retail space, or if your lucky for the one floor gentlemen you have to put up with when shopping. Well after a year of shopping with my other half I feel sorry for you. After walking around all the floors women have access too you either end up at the bottom or a lucky fourth floor retail space. Agreed that womenswear can be extravagant however men need that retail TLC too. 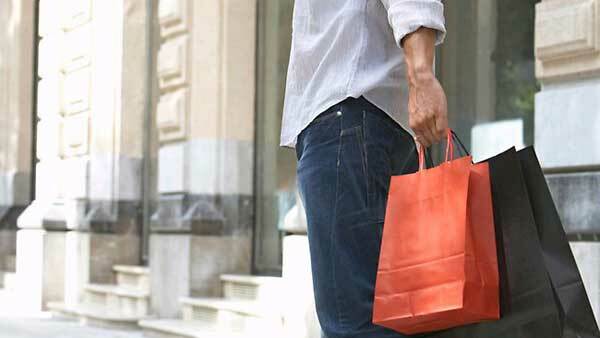 According to a survey which was published yesterday it has been revealed that the average man spends £925.58 year on shopping. So what’s this about the cupboards and one floored retail space? Retailers should be celebrating menswear as equally to the womenswear retail space because, the average man also needs the accessories to clothes too you know. What has changed? Is it that men actually want to be in stores for the experience of shopping in which women get the thrill out of or is it the service they receive by the members of staff when shopping? Personally if retail spaces do develop for men to fit with their new trend of spending more time in store and shopping my other half and average men can have a deserved experience of finding their purchase thanks to more space, more varied stock on the floors and they will have more relaxed attitude to the fact they feel appreciated due to the space and service in store. On the plus side of thing’s, I won’t feel guilty of having my other half walking around all the shops just to walk the large retail space of womenswear.